Le Colonne is located in the town of Caserta in the region of Campania. Although the town has a thriving agricultural industry it is best known for the spectacular Palace of Caserta, a former royal residence for the Bourbon kings of Naples and a UNESCO World Heritage site. 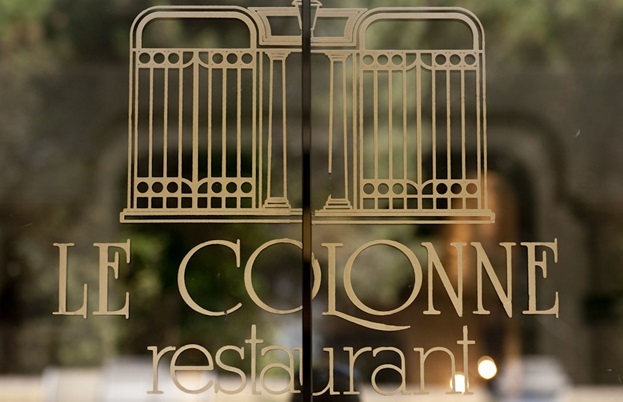 Built by chef Rosanna Marziale’s father in the 1950s, Le Colonne has stayed in the family ever since, with Rosana becoming head chef in 1998. 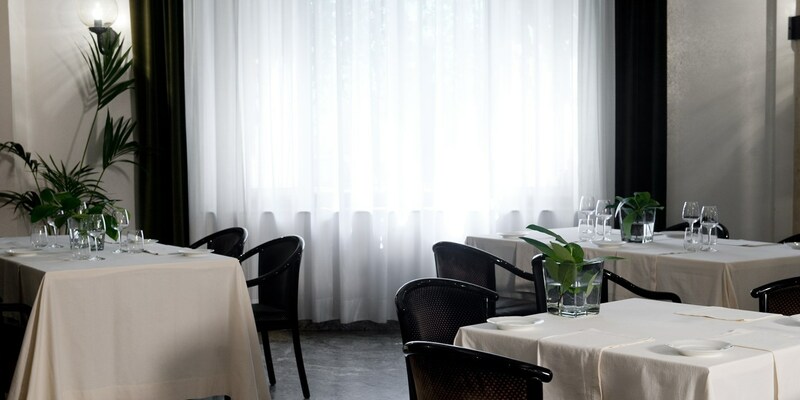 Through her guidance the restaurant's reputation has steadily grown and was awarded its first Michelin star in 2013. 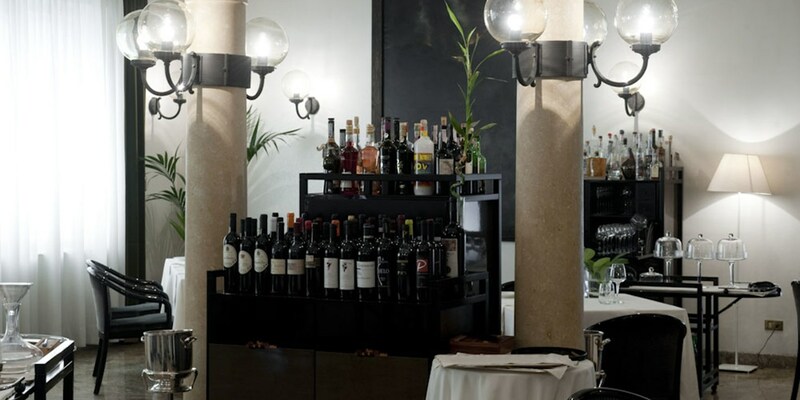 Regarded as a fine example of the new southern Italian cuisine, the menu at Le Colonne showcases some of very best southern Italian ingredients, including: lemons of Sorrento, San Marzano tomatoes and buffalo mozzarella. Rosanna is passionate about bringing the ingredients from her region to her customers’ plates and is even an ambassador for mozzarella di bufala, her most beloved ingredient of all. Affectionately known in Italy as ‘The Queen of Mozzarella’, her menu features many new and imaginative ways of using this pearly white cheese, such as the ‘Inside out pizza’ where mozzarella is used as the pizza base, and her famous Mozzarella cheesecake with raspberry sauce, where ricotta is replaced by mozzarella to make an extra rich and luxurious desert. The dining tables of Le Colonne have played host to some of the top names in politics and entertainment. This is partly due to the restaurant’s close proximity to the palace, but also because Rosanna is fast becoming one of Italy’s most popular celebrity chefs. Visitors to Le Colonne are led into a grand dining room featuring elegant chandeliers, beautiful paintings and Trompe-l'œil on the walls and ceilings. Once seated, guests can explore the restaurant’s incredibly diverse menu which features over forty dishes, as well as a reasonably priced tasting menu. 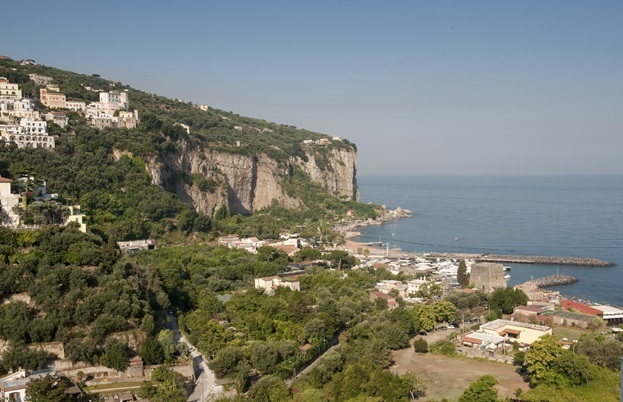 Le Colonne can be reached by train from the city of Naples. From Napoli Centrale look for the MetroCampania NordEst, which will take you on the 40 minute journey to Caserta. Rosanna’s tasting menu features many creative dishes, with one even including an audio element in order to create an ambience that complements the dish. Le Colonne also has a country restaurant called St Bartholomew, where Rosanna and the team manage and organise celebrations. In the summer the restaurant is very busy and regularly caters for weddings twice a week. Rosanna Marziale was born in Caserta, in the Campania region north of Naples. Her father opened his first restaurant in the 1950s and she grew up in this environment; and her key food memories centre on the people who worked and cooked in the restaurant. Her father and aunts often told stories of her grandmother. Although sick, she retained complete control of the household, particularly the food, even cleaning fruits and vegetables in bed. She opened her home to their friends and everyone was welcome at mealtimes. Leaving the fold to develop her culinary talents, she trained with Martin Berasategui at his eponymously named three Michelin star restaurant on the outskirts of San Sebastián in northern Spain. 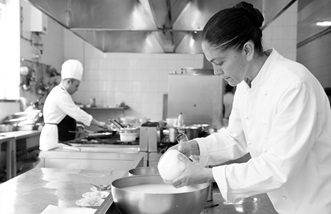 She also worked under Gianfranco Vissani, at his two-star restaurant, Casa Vissani, in Baschi, central Italy. Here she learnt the backbone of high-end, classical, Italian cuisine, saying of the experience: ‘Gianfranco helped me realise my own style and voice in my cooking.’ But her greatest mentor remains her father, whose cuisine she remains deeply passionate about.